Jill and Josh have started multiple businesses as nomads. Their four-month-old baby genius anchors them in one location, for now. They help entrepreneurs to get more traffic, make more money, and scale their businesses. Once you start to make money online, then you have the freedom to move on to optimizing health and building teams and relationships. Jill and Josh started their business in 2012, sacrificing time with friends for work. Jill and Josh worked in Chiang Mai (Thailand), Malaysia, Beijing (China), Cambodia, and Vietnam. They met in Beijing. They joined a digital nomad group in Chiang Mai. Jill and Josh moved to Toronto mainly to keep on a better schedule with their team on this side of the globe. Jill looks forward to moving back to Asia when their child is old enough to enjoy it. Jill and Josh don’t recommend starting a business together and getting married during the same year, but that’s what they did. They divide, conquer, and stay out of each other’s lanes. Jill outlines how they divide work. Jill and Josh are building a local/virtual team with an integrator, a community coach/customer support, tech/billing, and a graphics person, with more to come. Jill knew she was in a movement when people started calling themselves scroupies and scramily. People want to call the shots in their own lives. Some entrepreneurs go back to corporate sales to act as entrepreneurs, calling the shots over their territories. Staying an entrepreneur owner takes a strong tolerance for risk. Entrepreneurs don’t turn off the job at night. They have a paid private group that gets the benefit of all the content. Jill considers her group members to be her mini-bosses. 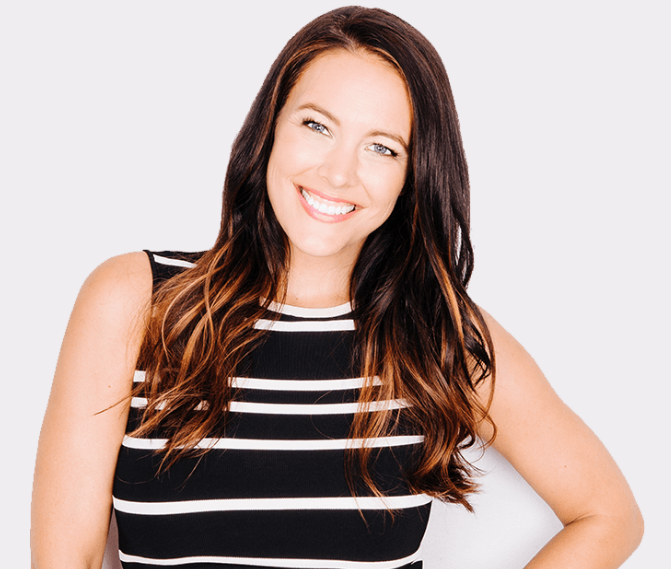 Her market segment is courses, membership sites, coaches, and content-driven brands. 90-Day Traffic is one of their programs that gives people a structure and a system to create content, host, and close with webinars, monetized through affiliate links. They also have a system for developing community content and a procedure for promotional content, such as appearing on podcasts. Content marketing builds enormous brands. The topic: What does it take for a salesperson to be interesting? It starts by being well-informed and ready to stray outside your comfort zone. Next, be interested. Be curious. Use small talk of interest to the prospect. Be vulnerable. Show that you’re authentic. Allow people to talk about their interests. The more you know of a person the more you can connect. Comment on things you see in the prospect’s office that reveal their interests. Follow the conversation where the prospect takes it. Connect the dots. Andy connects with people around the world by being interested in their cities and cultures. Neither Andy nor Bridget are extroverts and they still are able to establish rapport with people they meet. Logz.io is moving to team selling and shared quotas. This caused lots of discussions. Andy rejects candidates who are motivated primarily by money. Bridget was almost not hired for a sales job for lack of money motivation. Bridget recommends watching “Blackfish.” Andy says that documentary has really hurt SeaWorld; they are trying to rebrand as an amusement park.